Rock The Body Electric: Dylan Cover #80 Mary Lee's Corvette "You're A Big Girl Now"
Dylan Cover #80 Mary Lee's Corvette "You're A Big Girl Now"
In this ongoing Monday Series we will be exploring various artists versions of Bob Dylan song's. 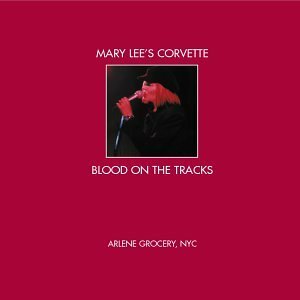 This month we have a special focus on Mary Lee's Corvette LIVE full album cover of Blood On The Tracks, today's final tune is "You're A Big Girl Now". Another tune off of Blood on the Tracks we have yet to touch on here. I am glad we are doing this focus on Mary Lee Corvette's live take on this fantastic album, it let's us tackle songs we have shunned until now. "You're A Big Girl Now", where to begin? Is it an honest assessment? A cutting critiqued cloaked by pain "stopping and starting"? Dylan seems to be hurt while constructing this tale, but he hits back with the title phrase, perhaps not always meaning it positively. A song that can be over looked on this great album, but one that really captures the wounded, honest/confused, tone of Blood On The Tracks. Grab the full Album here! Don't really have much more to say on this artist, def go support them in anyway possible here, and keep on checking out live music. This band did this full album cover on a random night in NYC at a little club called Arlene's Grocery. There are ton's of great bands playing out there in the world every day of the week. Remember, nothing beats live music. Go see some today, or at least this week, continue to support musical acts, especially in the live environment. We end with a real doozy. The band seems to be clicking as they are three songs in and getting really comfortable inhabiting Bob's world on this night. There is a smokey ease with which things start as acoustic guitars support and duel before a piano chimes in wonderfully. Again Kortes vocals are something special as Mary stays within her zone but stretches out the feeling. With the original I could sense a bit of Dylan's sarcastic bite with the chorus, but none of that is present here. The band accentuates the singing perfectly and the group seems to know things are going to be special on this night. The harmonica blows sweetly as the song finishes, this is a clear high note on the disk.